Hi everyone! I´m a primary teacher and I work at a private School in Buenos Aires, Argentina. 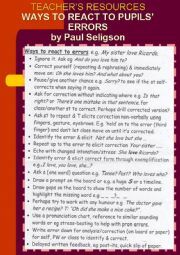 I´ve been teaching English for more than twenty years. I´m really fond of this website and I´m trying hard to upload my best works. Hope you all like them. 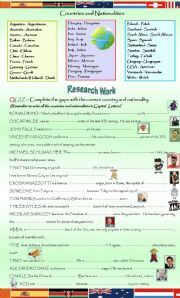 USEFUL WS CONTAINING THREE LISTS OF COUNTRIES/NATIONALITIES AND AN INTERESTING QUIZ WITH SOME FAMOUS PEOPLE. HAVE SS MAKE A PREVIOUS RESEARCH WORK TO FIND OUT WHERE THE PEOPLE ARE FROM IN ORDER TO COMPLETE THE EXERCISE. HOPE YOU ENJOY IT! 1.Pupils first read the information about Amy Johnson, the 1930s female British pilot who became a celebrity for breaking several long-distance flying records. 2.They read her pofile. 3.They answer the questions in a paragraph in order to write a short biography. Linking words are provided. Hope you like it! 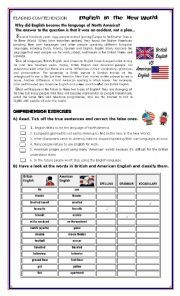 Although they are the same language, this worksheet shows pupils the differences between British English and American English whose spoken and written forms vary considerably. 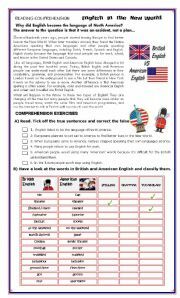 The worksheet includes a chart where pupils will have to classify the words given. (They will have to look them up in a dictionary). Hope you like it! 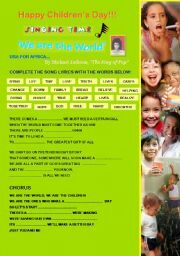 I once taught my pupils this moving song to celebrate the children´s day. Don´t miss out! This is my updated ws. 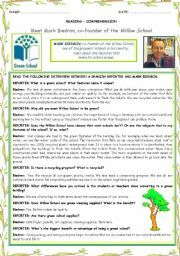 On the first page there´s an interview between a reporter and the Head teacher of an ecological school in the USA, Willow School, talking about the school features. 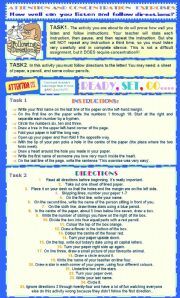 In the second page you´ll find a variety of interesting comprehension exercises. 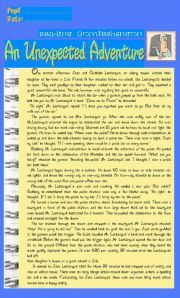 Pupils read this exciting story and solve the comprehension activities on the 2nd page. 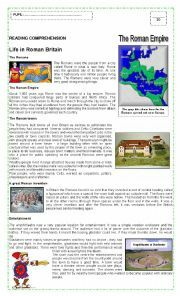 After reading the information on ´Roman Britain´ pupils will solve the exercises on the second page. You´ll find the key on the third page. Good luck!!! 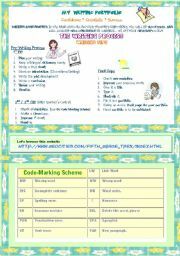 ANOTHER UPDATED PPT TO TEACH CONDITIONALS 1&2. 4 SLIDES. HOPE YOU LIKE IT! THIS IS MY THIRD PPT PRESENTATION. THIS TIME ON CONDITIONALS TYPES 0-1-2 (JUST THE ONES I HAD TO TEACH THIS YEAR). HOPE YOU FIND IT USEFUL. MY CHILDREN LOVED IT AND LEARNED A LOT ABOUT THE TOPIC.